SPEC Technology Corp. is one of largest manufacturers in India for CATV/MATV & Telecom products. 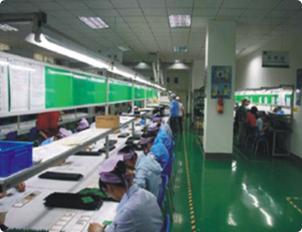 Our company was established in 1998. Today we have best possible infrastructure with some 650 employees and 40 vendors. Our R&D wing technically updates our products. We have our own manufacturing premises and input quality control to give the best products to our consumers with efficient after sales service. We work closely with our 400 distributors and dealers all over India and in neighboring countries.